September 18th in Wordpress Plugins by Wordpress Jedi . Sximopress: lets you perform CRUD operations. Users will be able to view, edit, search, and delete records online. Tabulate: lets you filter tables by any column. Access can be granted to read, create, update, delete, and import records in any or all tables. The plugin can also create entity relationship diagrams. 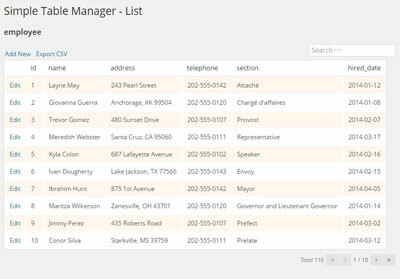 Simple Table Manager: another plugin that lets you edit table records and export them. It allows you to search and sort table records. 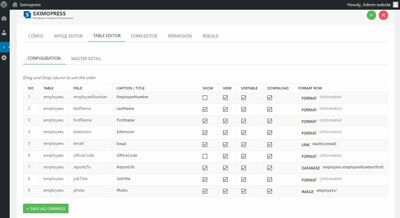 What are your favorite table managers for WordPress? Please share them here.